ensemble has now evolved into an iconic group recognized globally for their romantic harmonious vocal compositions that evoke feelings of love and nostalgia. This year mark’s their 70th Anniversary. Spanish-speaking world. He’s recorded over seventy albums and is the only Puerto Rican to star at Carnegie Hall in four different decades (1979, 1989, 1999, 2010). 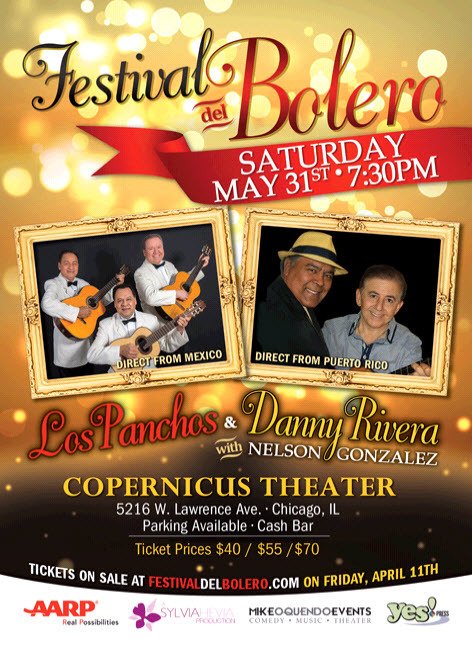 Festival del Bolero will bring together people of all ages to enjoy an evening of romantic songs from Latin America’s Golden Age of Music.